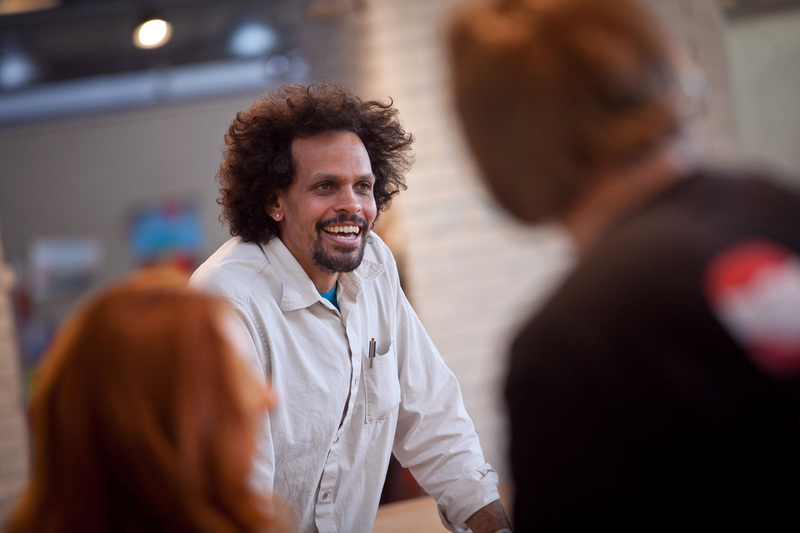 Catalog of Unabashed Gratitude, the latest book by Ross Gay ’96, has been named to the shortlist for the 2015 National Book Award for Poetry. Gay is among five finalists for the award. The winner will be announced during the National Book Awards Ceremony and Benefit Dinner Nov. 18 in New York City. Gay is the author of two previous collections of poetry, Against Which and Bringing the Shovel Down. His poems have appeared in American Poetry Review, Orion, Gulf Coast, Massachusetts Review, the Sun, and other magazines and anthologies. He is also the co-author of the chapbooks Lace and Pyrite: Letters from Two Gardens, with Aimee Nezhukumatathil, and River, with Richard Wehrenberg, Jr. He is an associate professor of poetry at Indiana University and teaches in Drew University’s low-residency MFA program in poetry. He has received fellowships from Cave Canem, the Bread Loaf Writer’s Conference, and the Guggenheim Foundation. An English and art graduate, Gay was the George Wharton Pepper Prize winner and a defensive end on Lafayette’s 1994 Patriot League Championship football team. He received an M.F.A. from Sarah Lawrence College and a Ph.D. in American literature from Temple University.